Photo above actually by Michael Schöber while in Berlin! Quick look ahead here and scroll below for the associated lineups! - just jammin' & sound for The Dorsal Fins!! 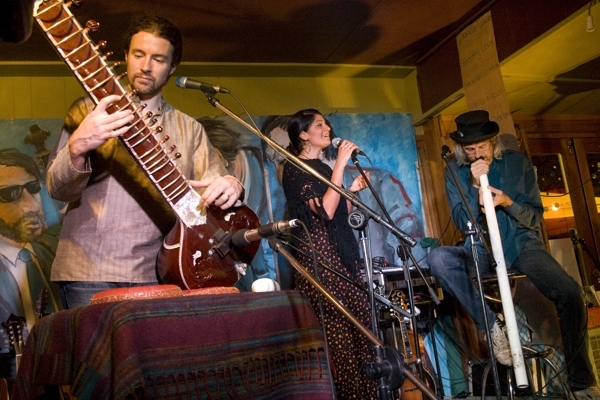 Big News - Parvyn sang for the India World Cricket match in Melbourne recently! Stunningly good - and India won!! Soared at The Planting 2018 - Woodford May 4-6 swapping Tim Bennett for Josh Bennett !! including jams with Greg Sheehan, Parvyn's solo set & mighty Fire Event finale. - 30 years touring - from Tom T Hall, Dya Singh to Totally Gourdgeous! 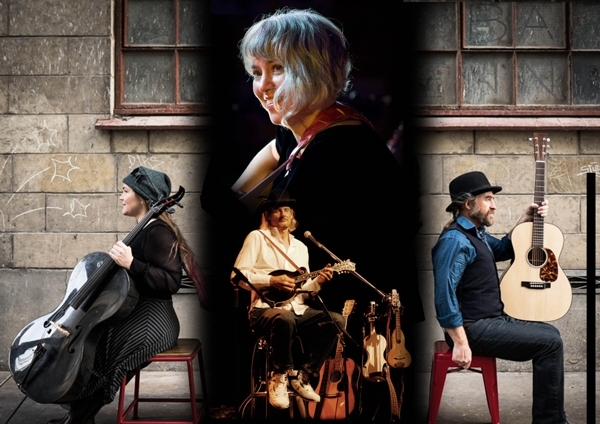 They are distilled from a vibrant world touring history with a 3 part harmonised twisting tale of gone Bluegrass/Celtic/ Blues/ Swing/ Jazz/ Indian adventure. - last wknd gone in Nov - for the Extreme Supper Club!! inspiring it and the momentum now in place for next year's already Sept 21!! JANUARY was another epic SUPPER CLUB season! Special Guest Mark Atkins - Didgeridoo & Story Teller Wizard! plus Anthony Walmsley to join me! The food is stellar as well - let Fran know you are coming!! The trip was pretty epic! Big thanks to all who helped & came along! PLUS superb finale week with Paddy Montgomery swapping for Pete! 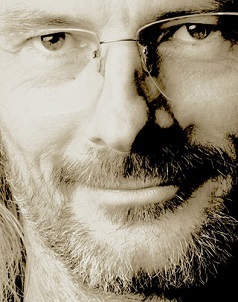 Plus Louis Adams dropping in at Mt Gambier - Limestone Coast Pantry - an etching performance! The Apostle String Band Tour : Peter, Paul & Andrew gather a short history of the western world of music. 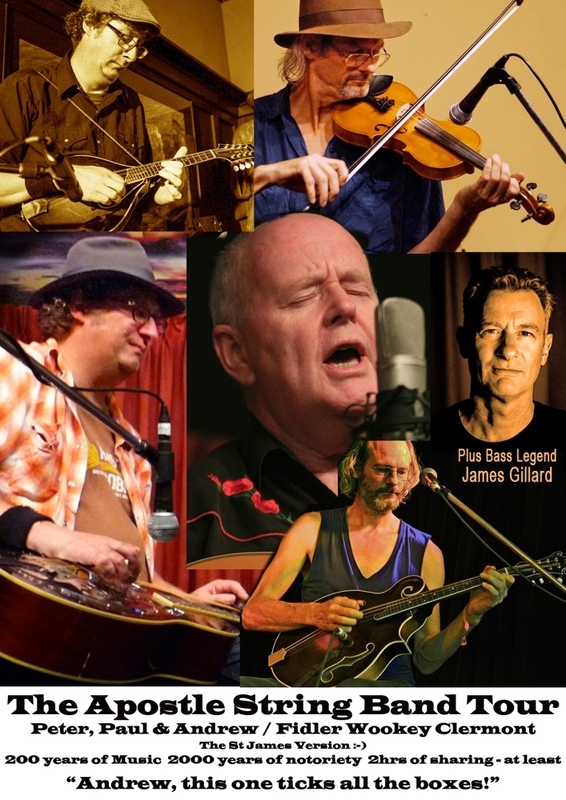 Epic in their contributions to acoustic music in Australia and a few world parts, they are champions & high demand session players of their musical instruments and perform seamlessly reflecting their 30 years of association in harmony and song. Pete Fidler - Dobro (slide guitar) with new CD and recent remake of Dark Side of the Moon - Pink Floyd(! ); Paul Wookey - renown for his incredible Blues to early Country delivery including many 60s & 70s classics; Clermont's fiery Fiddle, Mandolin & Guitar. 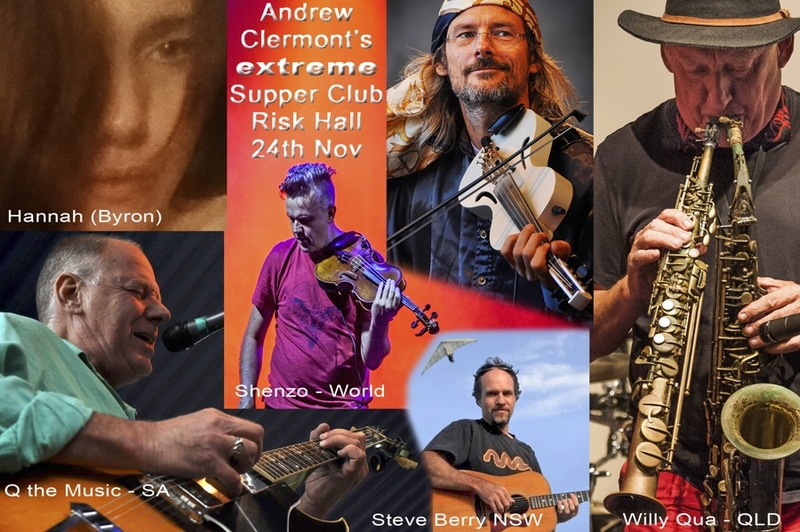 Plus James Gillard - Double Bass & Tenor Voice - not only member to the Oz Bluegrass All Stars in the 90s but also soaked in The Fargone Beauties, Mondo Rock & Richard Clapton Band!! A soaring presentation - not to be missed. which has already been re-booked for later this year 2019 Sat 21st Sept!! 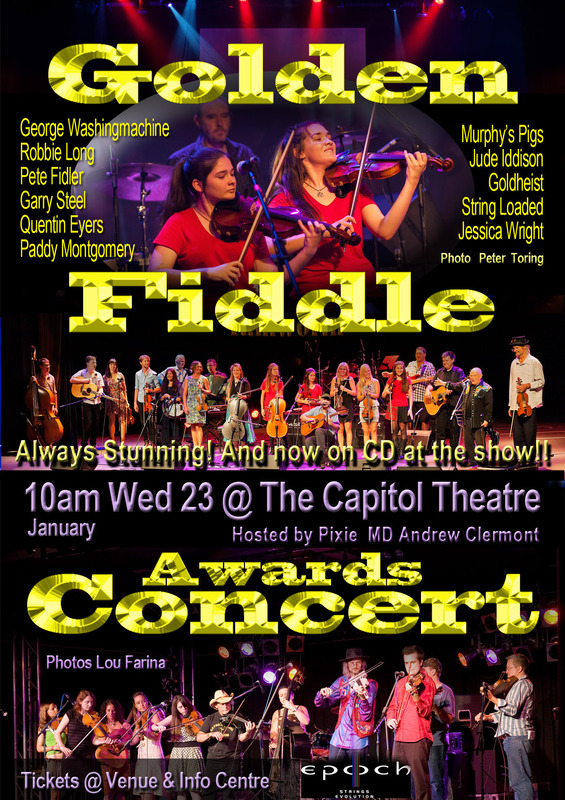 Silas & Sarah VIC from The Bushwackers plus Lucy Kammerman SA & Jude Iddison WA all on wild fiddles plus Quentin & Tony Eyers brothers on Bass, Keys & Harmonicas - This year will see Paddy Montgomery join Clermont & Jude Iddison and maybe Paul Cooper on Banjo! It can hardly get more diverse or musically welcoming as the Supper Club. If you were to ask, gee I wonder what it would sound like if X & Y were to come together with Z ? Well you'll likely catch it here. here is the musical wild wood, where music knows no sleep and few limits (just the imagination and gumption) - in it's 18th official year. Clermont began as a 3 time Australian Bluegrass Guitar Champion. He first fiddled on Brian Young's Longest Chartered Flight Concert Tours of the World after just 2 years near a Violin in the mid 80s. ie. Totally Gourdgeous, BluGuru, Dya Singh World Music Group, The Beggars, The Borderers (including 2014 in Lorient - France and Skägen - Denmark) plus Germany, Festivals and more as timing permits. with a fellowship of youth & wissen who stop at few borders or genres. Andrew Clermont's International Supper Club included 100 players in 2013! Sup Club Live Recordings are distilled into - 7 CDs and many DVDs (including Tuition)! - and back as Totally Gourdacious (Kylie Morrigan joining Mal & Andrew)!! A knock out run! Much thanks to all who helped or came along! Joni Mitchell meets James Brown in Bob Marley's pumpkin patch via The Muppets! Latest Clips - Shades of the Vine! 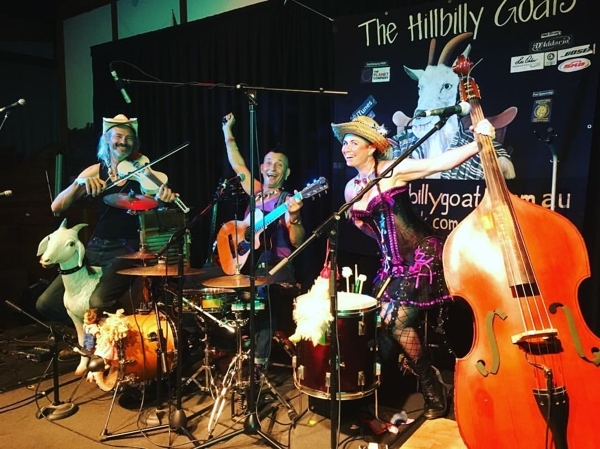 There was some moonlighting with the Hillbilly Goats during this 2017!! From Albury to Cooktown! - twin fiddling finale with Carolyn Trengove 2017! 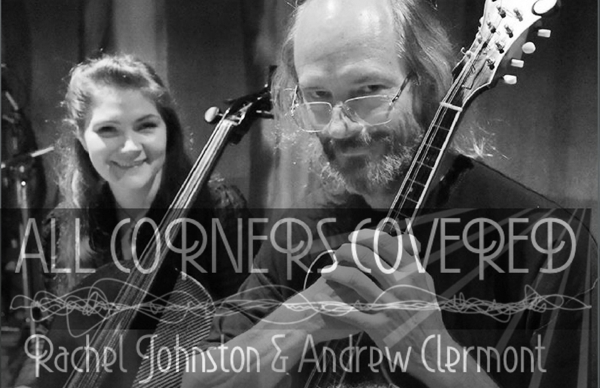 Rachel Johnston & Andrew Clermont - All Corners Covered Tours ! with a selection from the tips of Scandinavia through UK to inner Outback & Oldtime. here be some particularly fresh and soul stirring music. they will certainly draw upon all their histories and take us well beyond!. beside Rachel's near glowing Luis & Clark Cello. Rachel's gleaning of the worlds of Cello style and there be a feast to behold! See Gig Guide Link at top! plus Tamarisque (Janet & Hugh Gordon) a magic finish! 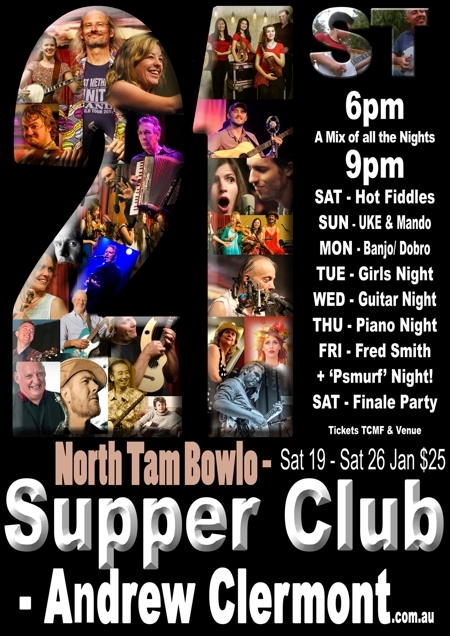 then onto Woodford Folk Fest & Tamworth CM Fest Supper Clubs through the summer plus the Sunshine Fiddle Camp QLD! !